Looks like Canon is churning out another award winning digital camera for photo enthusiasts: The Canon EOS Rebel XSi. After Canon's success with the Canon EOS Rebel XTi, its follow up, the Canon EOS Rebel XSi also has powerful features underneath its body. The Canon EOS Rebel XSi has a 12.2 mega pixel resolution, and is the first Canon entry level digital SLR which incorporates the Highlight Tone Priority and High-ISO Noise Reduction functions first introduced in professional level cameras like the EOS-1D Mark III Professional Digital SLR. The Canon EOS Rebel XSi has host of other functions that photo enthusiasts would surely love. 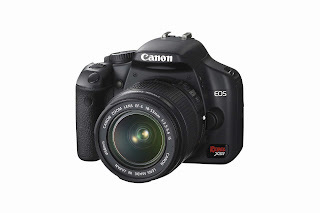 The Canon EOS Rebel XSi is expected to ship in April 2008 and will have a retail price between $799-899.99.